Mountaineering in the Tatras has a long tradition, these moutains are still a challenge for climbers from different countries. The most interesting and popular climbs are e.g. to Žabí kôň (very sharp part of the ridge), Ganek (especially its part called "Galéria"), Široká veža, Žltá stena and Ostrý štít (wall-climbing in compact rock), Malý Kežmarský štít (900 meters high north wall) or Jastrabia veža (remarkable spire above the lake Zelené pleso). Climbing in National park and is allowed only to organized mountaineers (UIAA). Members of different alpinistic clubs can get a discount from accomodatiion prices at some mountain chalets. In winter, you can find enough ski slopes and cross country skiing routes. On the one hand, there are many short and easy slopes for downhill skiing, on the other you may choose difficult slopes. 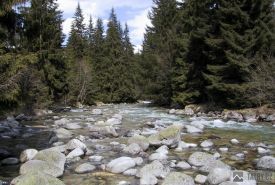 The best ones are at Štrbské pleso (Park Snow), at Ždiar (Strednica) or Hrebienok. 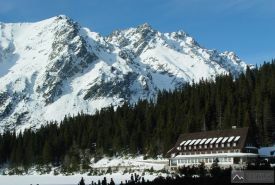 The longest slopes are in area Skalnaté pleso - Lomnické sedlo. Skiing routes spread under the whole mountains, the biggest racing area is near Štrbské pleso (Areál snow). It is also possible to ski along the tourist paths open at that time when the snow conditions are good. In that case walking tourists must not be endangered. Marked routes for cyclists (22) are not being built as special trails. They lead on asphalted or consolidated forest roads and tourist paths. The walking tourists have right of the way and must not be endangered by cyclists. The routes may be used by cyclist only when there´s no snow cover during the year. For most of the routes mountain bicycles (MTB) are recommended, some of the routes can be travelled only on mountain bikes. The safety helmets are recommended. On the routes Štrbské pleso - Popradské pleso, Tatranská Polianka - Sliezsky dom a Starý Smokovec - Hrebienok observe a speed limit of 20km/hr when driving downwards. Please, keep these rules for visitors during your stay in TANAP.